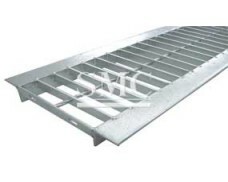 Tru-Weld bar grating is forge-welded, a system in which Fisher & Ludlow was a pioneer. In this process the bearing bars and cross rods are permanently forged together by heat and pressure into a single unit construction, resulting in greater strength per pound than mechanical assembly methods. 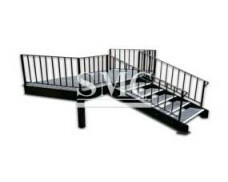 The twisted cross rods provide a non-slip walking surface. For applications where extremely slippery conditions prevail, Serrated Tru-Weld offers a superior grip surface to the load bearing bars. 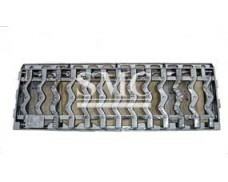 Bar grating types are specified by bearing bar spacing followed by cross rod spacing. 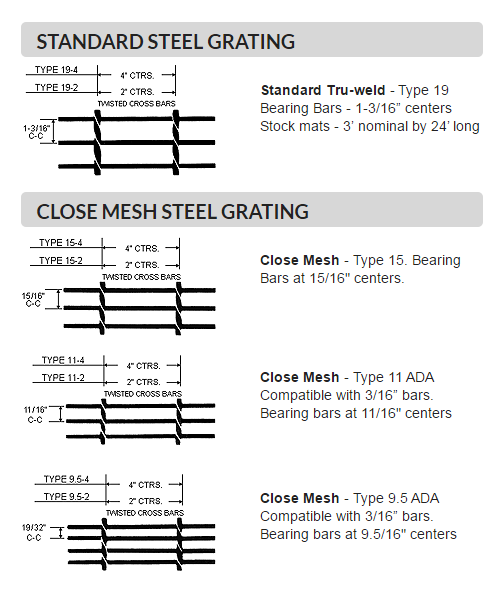 In imperial measurements, bearing bar spacing is described in sixteenths of an inch. Therefore, Type 19 has bearing bar centers at 19/16 of an inch (or 1 3/16”). Type 15 has bearing bar centers at 15/16”. Type 11 is at 11/16” etc. The second number after the dash in the Type designation refers to the cross rod spacing. Cross rods are available in either 4” (standard) or 2” (special) spacings. 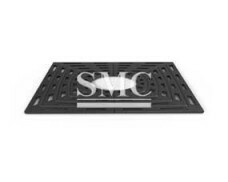 All bar grating Types may also be described in metric units. Again, the first number represents the bearing bar spacing on centers and the second number represents the cross rod spacing, both units measured in millimeters. 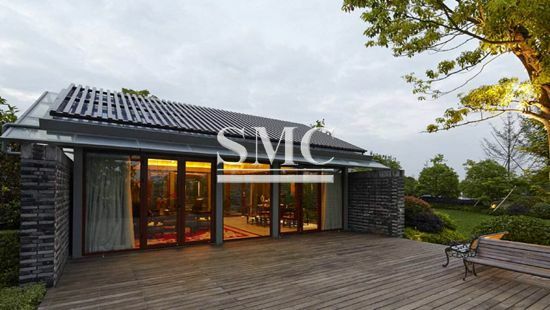 Therefore, Type 30-102 Metric equals bearing bars at 30mm centers and cross rods at 102mm centers. This is the metric equivalent of Type 19-4. 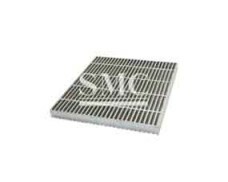 Note: Although the special 2” (50mm) cross rod spacing does allow for less open space on the grating surface, it does not affect the load rating of the grating. 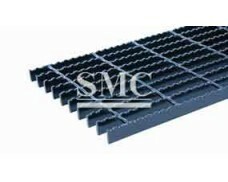 The most economical and readily available choice for bar grating selection is Type 19-4 (Type 30-102 Metric). 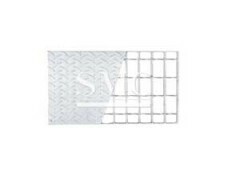 Serrated: Better non-skid property & safety compared with plain grating.